Are you planning on attending Broad Appetit tomorrow, Sunday, June 3rd? No?! Why not?! Seriously, it is the best deal on food from the several of the best restaurants in town. I don’t know how you can beat $3 a plate. Oh yeah, I do! $5 for two dishes in most cases. This will be my third year in attendance at the five year old festival but this year has me even more excited because Virginia’s craft breweries are joining in on the fun. Now take another look at the photo above. 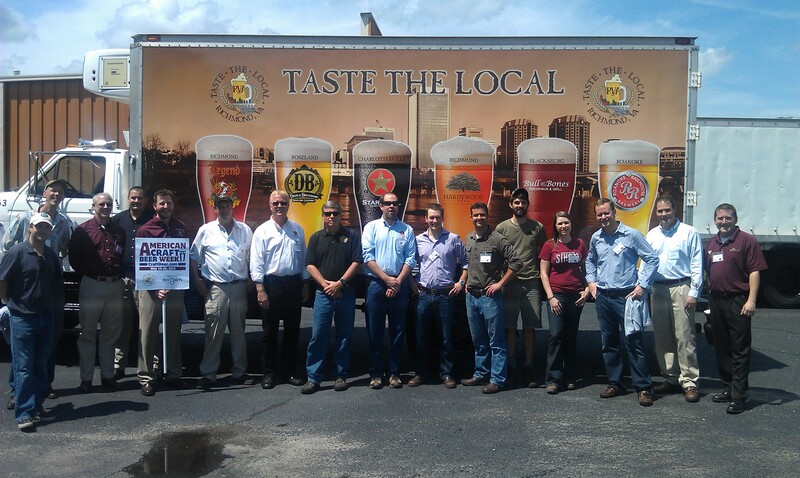 Ladies and gentlemen, here are just a few of the people responsible for bringing you local craft beer. The Starr Hill firkin will be tapped at noon at the start of Starr Hill’s Meet the Brewer session. So head out for some great local food and beer as Broad Street shuts down for a party unlike any other. Broad Appetit runs from 12 – 6pm between Adams and Henry. You will have fun even if you try not to.